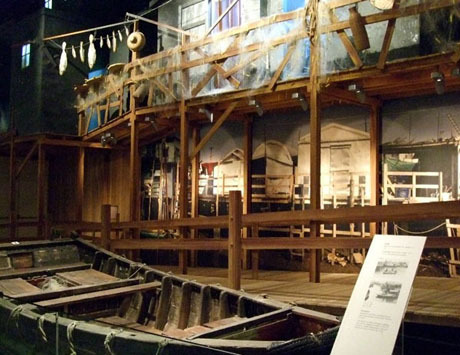 *FOR OTHER MUSEUMS SEE "MUSEUMS - HONG KONG ISLAND" AND "MUSEUMS - KOWLOON"
The Orientation Theatre offers a preview of the displays in each gallery with an overview of the cultural characteristics of Hong Kong and the opportunity to view a short film “Our Living Heritage”. Children’s Discovery Gallery is designed for kids from 4 to 10 and offers a fun way for kids to learn about nature and archaeology through interactive and hands-on exhibits in eight play zones including representations of Mai Mo Marshes and a traditional New Territories village. Hong Kong Toy Story features a wide range of toys designed, manufactured, sold and used in Hong Kong. Cantonese Opera Heritage Hall covers the origins of Cantonese Opera and its golden periods on stage as well as scenes from overseas performances. The gallery has over 200 exhibits including a Cantonese Opera stage, costumes, make-up, musical instruments, programmes, posters, contracts, gramophone records and a representation of the Lee Theatre showing Cantonese Opera films. Visitors can also apply virtual make-up. New Territories Heritage Hall features reconstructions of a village with ancestral hall and fishing village scenes and traces the development of the New Territories with eight main themes: Natural Environment, Prehistoric Life, Trade and Coastal Defence, Glimpse of the Fishermen’s Life, Life in a Village, British Rule, Great Transformation and New Challenges. Chao Shao-an Gallery is an art gallery dedicated to the artist Professor Chao Shao-an (1905-1998) who made a highly significant contribution to the art scene in Hong Kong through his life-long devotion to Chinese painting. Many of Professor Chao’s paintings are on display along with other artefacts including sketches, manuscripts, seals, newspaper clippings, photos and video documentaries by and about the artist. TT Tsui Gallery of Chinese Art features over 400 examples of Chinese Art from the Neolithic period up to the twentieth century. The exhibits have been donated mostly by The Tsui Art Foundation and include Chinese ceramics, pottery sculptures, bronze, jade and lacquer ware, stone carvings and furniture. The Jin Yong Gallery, opened in early 2017, is themed on the renowned writer Dr Louis Cha (pen name Jin Yong) and showcases both the creative processes behind and the wide-ranging impact of Dr Cha's martial arts novels through more than 300 exhibits. The gallery includes an interactive game zone and occupies an area of 2,500 square feet. The museum also has six Thematic Galleries for temporary exhibitions, a 350-seat theatre where performances including free “bite-size” Cantonese Opera extracts, folk songs, dance shows and children’s programmes often take place at weekends and the museum also offers Cantonese Opera Appreciation Classes in conjunction with Hong Kong Tourism Board. Museum facilities also include a Resource Centre, gift shop, tea house and snack bar. The five-year "Bruce Lee: Kung Fu. Art. 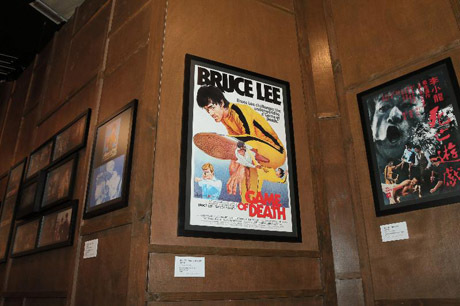 Life" exhibition features more than 600 precious relics related to Bruce Lee and the exhibition gallery houses several sets of reconstructions, which were created with ideas inspired by prominent scenes in Lee's five classic kung fu movies as well as his gym and his study to enhance visitors' experiences in viewing the exhibition. During the fiscal year ended 31st March 2017 the Heritage Museum attracted an attendance of 787,000. 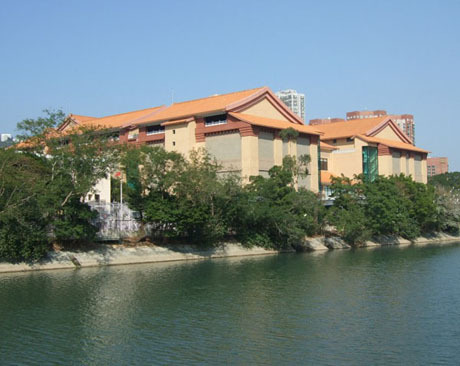 There museum has three branch museums in the New Territories, Hong Kong Railway Museum at Tai Po Market, Sam Tung Uk Museum at Tsuen Wan and Sheung Yiu Folk Museum at Sai Kung (details of these museums can be found below). OPENING HOURS – 10am to 6pm Monday and Wednesday to Friday, 10am to 7pm Saturdays, Sundays and public holidays. Closes at 5pm on Christmas Eve and Chinese New Year’s Eve. Closed on Tuesdays (except public holidays) and the first two days of Chinese New Year. GETTING THERE – MTR Che Kung Temple Station exit A then 3 minute walk via footbridge over river or from MTR Sha Tin or Tai Wai Stations 15 minute walk. Bus routes A41, E42, 80M, 86, 89 and 282 stop on Lion Rock Tunnel Road near the museum. 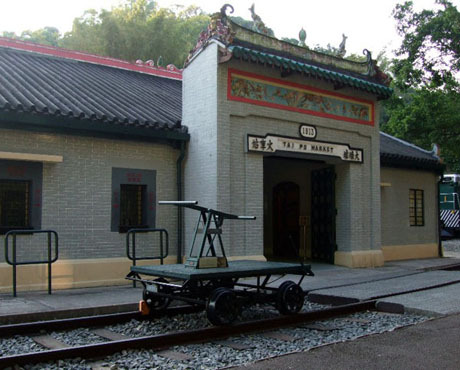 Visitors to Hong Kong Railway Museum should note that during January and February 2019 a number of outdoor exhibits will be temporarily closed for maintenance work. Opened in 1985 at the restored old Tai Po Market Station the Hong Kong Railway Museum is an open-air branch of the Heritage Museum and illustrates the history of local railway transportation, primarily the British Section of the old Kowloon-Canton Railway which in late 2007 was absorbed into the MTR network. The current MTR East Rail line to the border stations of Lo Wu and Lok Ma Chau and Inter-City cross-border services to Guangzhou, Shanghai and Beijing run alongside the museum. The old station building which dates back to 1913 is built in traditional Chinese style with pitched roof and ridges and gables are decorated with motifs such as red bats, peonies and magpies. The station building houses a small exhibition area and preserved booking office. 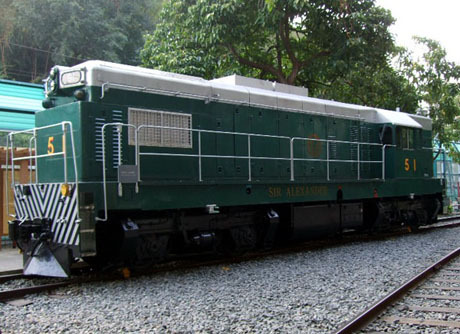 Outdoor exhibits include a narrow gauge steam locomotive, diesel electric locomotive, six historical coaches which visitors can walk through, signalling equipment and a red brick building which serves as the museum office. At weekends a short video “Train” produced by RTHK in 1981 (Cantonese dialogue) is shown four times in one of the preserved coaches. The museum attracted 276,000 visitors in the fiscal year to 31st March 2017. Preserved diesel-electric locomotive "Sir Alexander"
OPENING HOURS – 10am to 6pm Sunday, Monday and Wednesday to Saturday. Closed Tuesdays (except public holidays) and the first two days of Chinese New Year. Closes at 5pm on Christmas Eve and Chinese New Year's Eve. GETTING THERE – MTR East Rail to Tai Po Market then follow tourist signs via path alongside railway line and under railway bridge and continue following signs along Wan Tau Street and Heung Street (about 15 minute walk). MTR East Rail to Tai Wo, walk to riverside, cross first river bridge and follow tourist signs to museum (about 15 minute walk). Bus routes 72, 72X,73X,74X,75X,271 and E41 stop on Kwong Fuk Road, about 5 minute walk from the museum. The Qing Dynasty Hakka village of Sam Tuk Uk (“three-beam dwelling”) founded by the Chan clan is one of the oldest walled villages in Hong Kong dating back to around 1786. Following it being declared a listed monument it was restored and converted into a museum which opened to the public in 1987. The villagers had depended largely on agriculture for their livelihoods and after setting at Sam Tung Uk constructed seawalls to reclaim land for farming. Located in present day Tseun Wan the museum which is a branch of the Hong Kong Heritage Museum covers an area of 2000 sq m and comprises an ancestral hall with altar, orientation room, reception room, multi-purpose exhibition hall featuring exhibitions “Tseun Wan:Then and Now” and the hands-on “The Way We Were”, four central houses with historical period displays including furniture, cooking vessels and agricultural implements illustrating the daily lives of the Hakka people, eight side houses with ethnographical displays on topics such as the history of rice growing in Hong Kong, lecture room and landscaped garden. During late 2015 and early 2016 a renovation of the Exhibition Hall was carried out and 10 local items that have been inscribed on China's national list of intangible cultural heritage were introduced, being: Cantonese opera, herbal tea, the Cheung Chau Jiao Festival, the Tai O dragon boat water parade, the Yu Lan Ghost Festival of the Hong Kong Chiu Chow community, the Tai Hang fire dragon dance, the arts of the Guqin (the craft of Qin making), the Quanzhen temples Taoist ritual music, the Hakka unicorn dance of Hang Hau in Sai Kung, and the Wong Tai Sin beliefs and customs. They cover areas such as performing arts, rituals, festive events and traditional craftsmanship, and represent the efforts of different local communities in passing on their customs and traditions. The Hong Kong Intangible Cultural Heritage Centre was officially opened at the museum on 18th June 2016 as a display and resource centre. It aims to enhance the public's understanding and awareness of ICH through various educational and promotional activities, including exhibitions, lectures, seminars, ICH bearers' demonstrations and workshops. In the fiscal year to 31st March 2017 the museum attracted an annual visitor attendance of 107,000. GETTING THERE – MTR to Tsuen Wan exit E. Do not take footbridge across Sai Lau Kok Road instead from street level follow tourist signs along Sai Lau Kok Road (which runs parallel to station) to museum (about 5 minutes walk east of station). Bus routes 40,43X,48X,49X,57M,58M,59A,66,67M,68A,69M,73X,235,278P,278X,A31 all stop on Castle Peak Road or Tai Ho Road between 5 and 10 minutes walk from the museum. 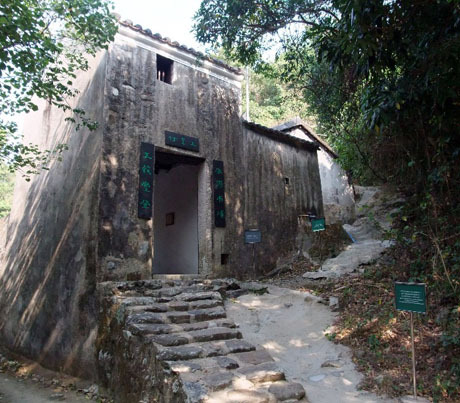 Dating back to the late 19th century Sheng Yiu Village was founded by members of the Wong clan were Hakka immigrants from Guangdong Province. The villagers were engaged in fishing, farming and the manufacture of lime, bricks and tiles and built a lime kiln and brick kiln and at its peak the village employed over a hundred workers. During the 1950’s the residents began moving away to urban areas and by the next decade the village had become completely abandoned. In 1981 the government declared the village and lime kiln historical monuments and began restoration work to turn part of the abandoned village into a public museum which opened in 1984. 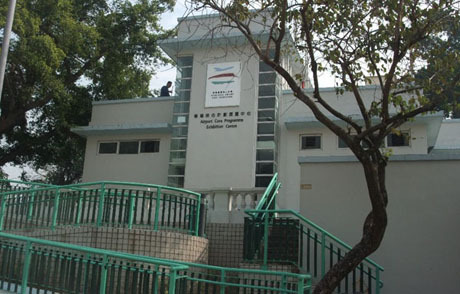 The museum is now a branch museum of Hong Kong Heritage Museum. 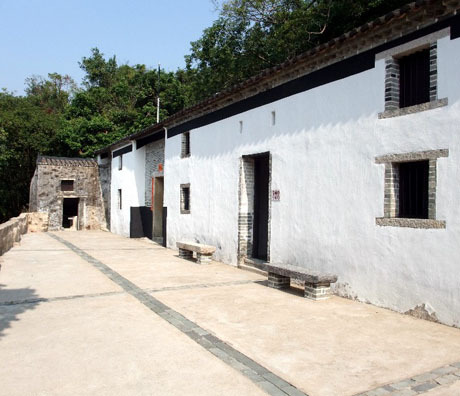 The museum stands in a remote location in Sai Kung Country Park and is unique amongst Hong Kong’s museums in that the surrounding environment remains almost as it was when the village was founded. The village was built on a platform 2 metres above ground as a defence against both flood and enemies and a six metre high gate tower enabled any approaching invaders to be spotted. The museum occupies houses, pigsties, cattle shed, watch tower and drying terrace and the permanent exhibition includes agricultural implements, pots, furniture and other everyday items. The lime kiln is located a short distance from the museum alongside the path and the remains of abandoned village houses which did not form part of the restoration project can still be seen. The folk museum achieved a visitor attendance of 41,000 for the fiscal year ended 31st March 2017. GETTING THERE – Bus 94 ( approx every 30 minutes from Sai Kung (destination Wong Shek Pier). Get off the bus at Pak Tam Chung at entrance to country park by Sai Kung Country Park Visitor Centre and barrier and follow signs for Pak Tam Chung Nature Trail and Sheung Yiu Folk Museum. The museum is about 30 minutes walk from bus stop. Recreational bus service 96R (from Diamond Hill MTR Station - Sundays and public holidays only) also stops at Pak Tam Chung. Also green minibus 7 or 9 from Sai Kung Town green minibus terminus to Pak Tam Chung. 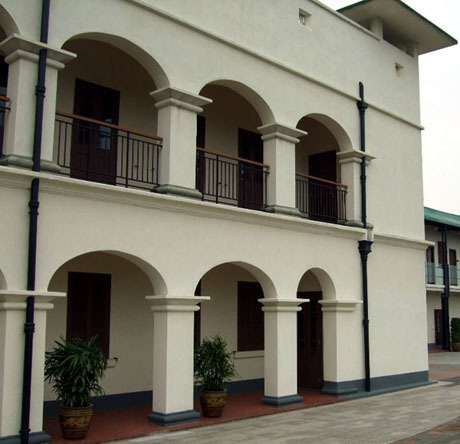 Converted from the old Ping Shan Police Station set on a hilltop overlooking the north-west New Territories the Ping Shan Tang Clan Gallery opened to the public in 2007 following collaboration between the government Antiquities and Monuments Office and the members of the Tang Clan. The gallery displays various relics belonging to the Tang Clan, introduces the Ping Shan Heritage Trail which was established in 1993 and presents temporary thematic exhibitions on the history and culture of the New Territories. 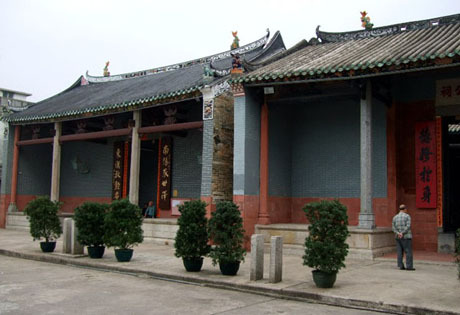 The Tang Clan, one of the major clans in the New Territories settled in Ping Shan in the 12th century having migrated from Guangdong Province and were attracted by the area’s fertile farmlands, sheltering mountains and plentiful water. 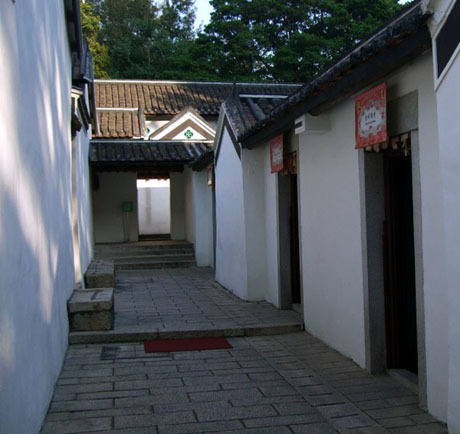 The clan established “Three Wai’s” (walled villages) and “Six Tsuens” (villages) and later built numerous traditional Chinese buildings including ancestral halls, temples, study halls and pagodas for ancestral worship and education. The Ping Shan Tang Clan still maintain traditional customs such as ceremonies during festivals and the village elders have safeguarded a large number of cultural relics of traditional village life. The old police station which houses the gallery is a splendid two-storey building with arched verandah and a rear ancillary block. Some of the relics on display include a bridal sedan chair, baby seat, wedding coronet and embroidery. 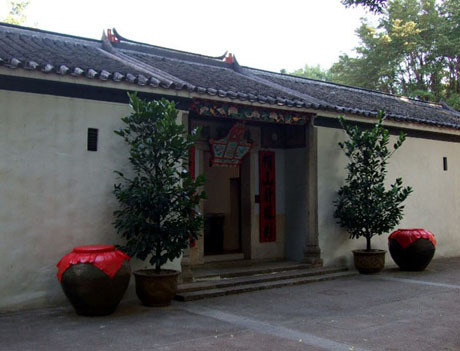 The Ping Shan Heritage Trail Gallery shows the route of the trail and describes the buildings on the trail and their history. The Gallery attracted 71,000 visitors in the fiscal year ended 31st March 2017. Tsui Sing Lau Pagoda (c.1400), hexagonal-shaped three-storey green brick structure about 13 metres in height “Pagoda of Gathering Stars” intended as a fung-shui structure to ward off evil spirits. Printed trail guides detailing the trail route and buildings are available at the Gallery/Visitor Centre. 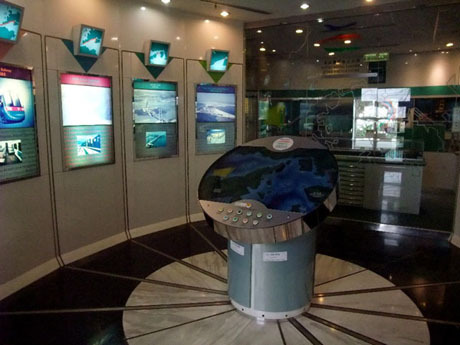 Trail Guides can also be obtained from Hong Kong Heritage Discovery Centre in Kowloon Park and Hong Kong Planning and Infrastructure Exhibition Gallery at 2 Murray Road, Central. Gallery – Gallery opening hours 10am to 6pm (March to September), 10am to 5pm (October to February). Closed Mondays (except public holidays) and the first two days of Chinese New Year. Tsui Sing Lau Pagoda – 9am to 1pm and 2pm to 5pm Sunday, Monday and Wednesday to Saturday. Closed on Tuesdays, Christmas Day, Boxing Day (Dec 26) New Year’s Day and the first three days of Chinese New Year. GETTING THERE – MTR Light Rail to Ping Shan or Tin Shui Wai or MTR West Rail to Tin Shui Wai. The Gallery, Visitor Centre and start of the trail are located near to Ping Shan Light Rail Station. The end of the trail is situated next to Tin Shui Wai MTR Light Rail/MTR West Rail Stations and it is suggested visitors start the trail by taking Light Rail to Ping Shan Station and visiting the Gallery/Visitor Centre first. Bus route 53 (Yuen Long to Tsuen Wan) stops at Ping Shan Light Rail Station. At its peak 34,400 people were employed on the programme and in the course of construction there were 7,542 industrial accidents and 49 fatalities. The exhibition is housed in a distinctive white building known as Homi Villa, built privately in the early 1930’s. It was subsequently purchased by the Government and used as staff quarters for British army officers before being converted into the exhibition centre in 1995. There are five display areas containing models, photographs and descriptions of the ten projects. Video and slide shows in the audio-visual room highlight the ACP in general and in particular the Tsing Ma Bridge and new airport at Chek Lap Kok. There are panoramic views of the bridge from the the rooftop viewing platform and the garden which is equipped with telescopes. Visitors should allow about one hour to tour the exhibition. GETTING THERE – (KMB) Bus 53 or 234B from Tsuen Wan West MTR Station Public Transport Interchange. The stop to disembark at is displayed inside the bus as “Hoi Mei Beach”. The bus stop is outside the exhibition centre.